This showed up on my birthday a couple of days ago from Japan...good timing! 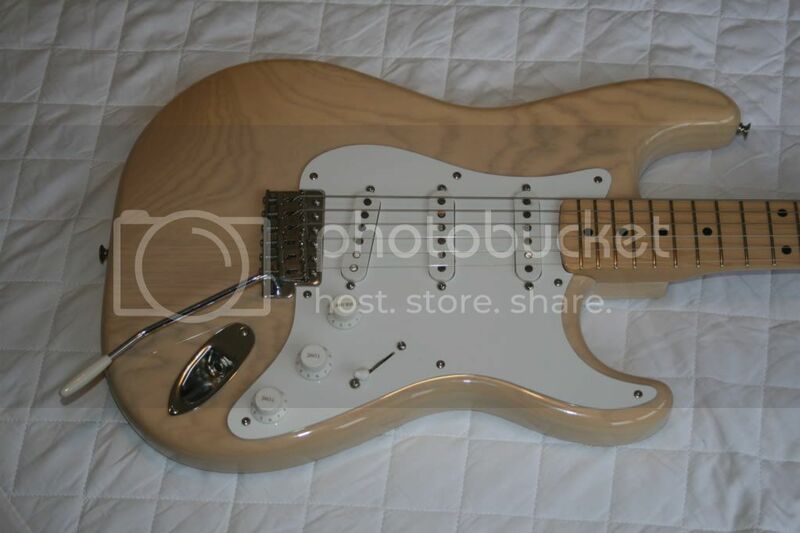 I'd been missing my blonde Fernandes Revival, so thought I'd grab a this when it came up. I haven't popped the hood yet, so I'm not sure what electrics are in it, though the pickups are SD SSL-1s. 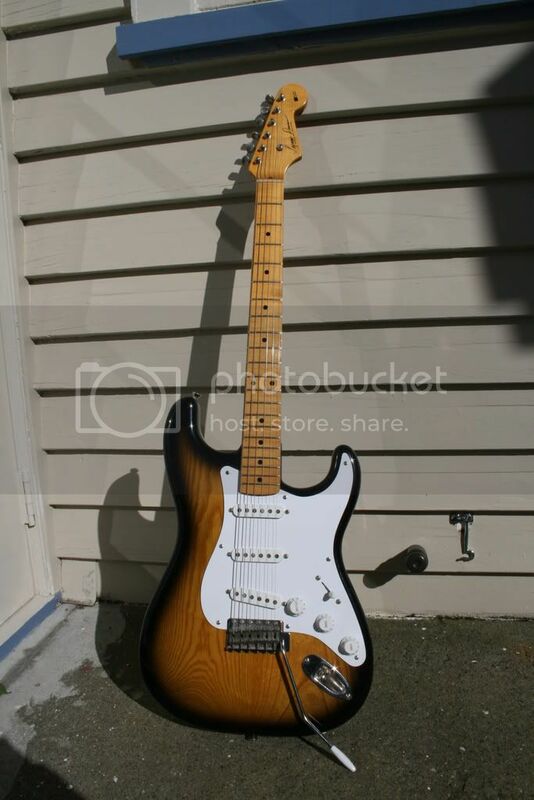 It's in pretty much mint condition and came in for around the price of a new Mexi Standard Strat...I'd much rather have this! Fantastic .By the way what did Mary Kay play on her fabulous strats?I`ve never heard her.Gabe. Jazz/Hawaiian stuff. And it's Mary Kaye. And she didn't even play a Strat for most of her career! Nice guitar, I love the color! Awesome....that's a fantastic looking traditional.. I have two Seymour Duncan guitars as well. I've got a DS 250pro (which later became the 280) and a DT190. Just fantastic guitars. I see many 200 series on rinkya etc...for around 90 to 100 thousand yen...People should be snapping those up, considering they are probably better than many of the Tokai's and Greco's that hover around that same price. And BIG thanks for that web link...that's just what I've been looking for! Good to see I'm not the only Duncan fan around here, be nice to see some pics of your two. There's a Burgundy Mist DS-200 that's been languishing on Ishibashi's U-box for ages, just over YEN100,000, not bad for a Strat built to Navigator/Van Zandt specs. My traditional is every bit as good as the Bacchus BST-62 that I used to own, except for the different trem block. No worries on the link. www.archive.org is awesome for looking up recent MIJ guitar history. My traditional is every bit as good as the Bacchus BST-62 that I used to own, except for the different trem block. Did you sell the LPB BST-62? What's different about the trem blocks? Yep. Sold it to a very lucky Kiwi who had no idea what he was getting, and at a bargain price too. Last time I do that! How do the later Springy and Goldie steel blocks compare?Gabe. Hey no problem...I always love and excuse to show them off!..lol.. The strat I got off rinkya and the tele from ishibashi. 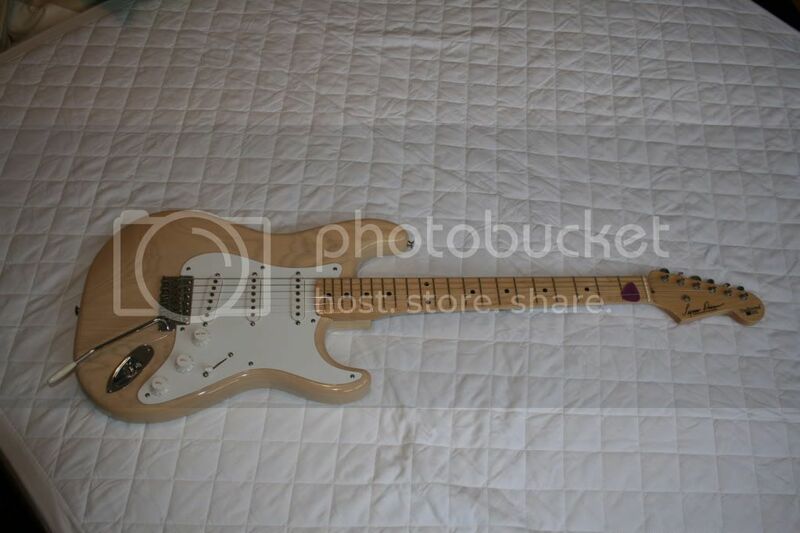 I've seen that purple strat there as well. I don't really like that colour too much. Kind of jeff beck 90's to me. But it is a good price for the quality of guitar. 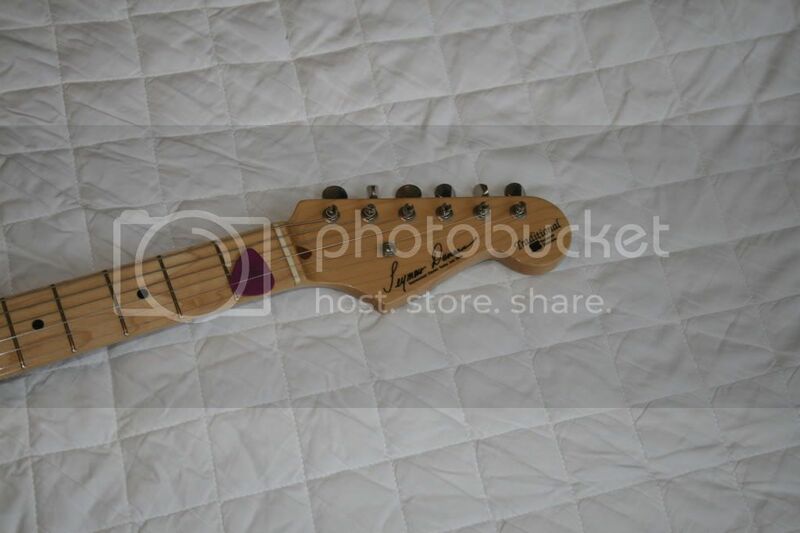 Dunno, I've never even seen a Tokai Strat in person! keep your eyes open for rinkya. 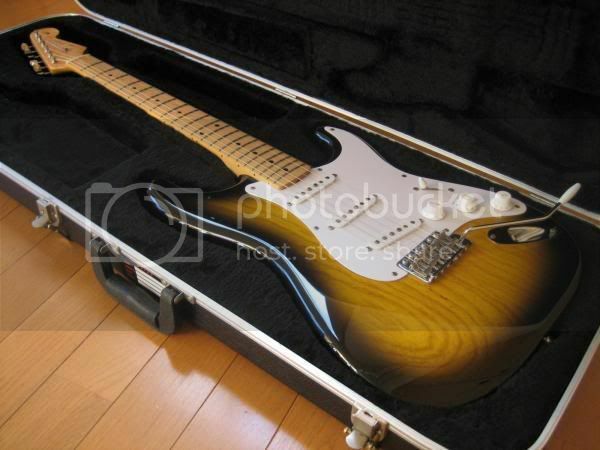 I only paid about 15000 more yen for the 250 than that 200 on ishibashi. I knew I wanted it as soon as I saw it....the burst is somewhat unique in its color, and the circular grain pattern on the ash blew me away... I knew it was the higher end model but only ended up finding out after the fact that it was the pro level. So a little lucky in a way. I don't see too many pro's come up but I'd bet when they do they'll go for way less than they probably should. Yep, that is a very nice single piece of ash you've got there. How heavy is your 250? Not in terms of pounds or KG, but just in general, ie light, medium, heavy, anvil. My 200 is heavy, verging on anvil, definitely the heaviest strat I've owned. I forgive her as she sounds sweet. My 100 is more of a medium weight. I would say very light. In fact I'd call it a feather compared to my other guitars. The only guitar I have that is lighter would be my Greco SG special. I have an alder aria pro II strat that's nearly as heavy as my ObG LP. 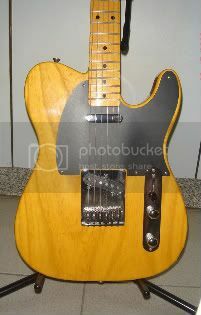 And the tele is a huge hunk of wood too. Pretty heavy as well.